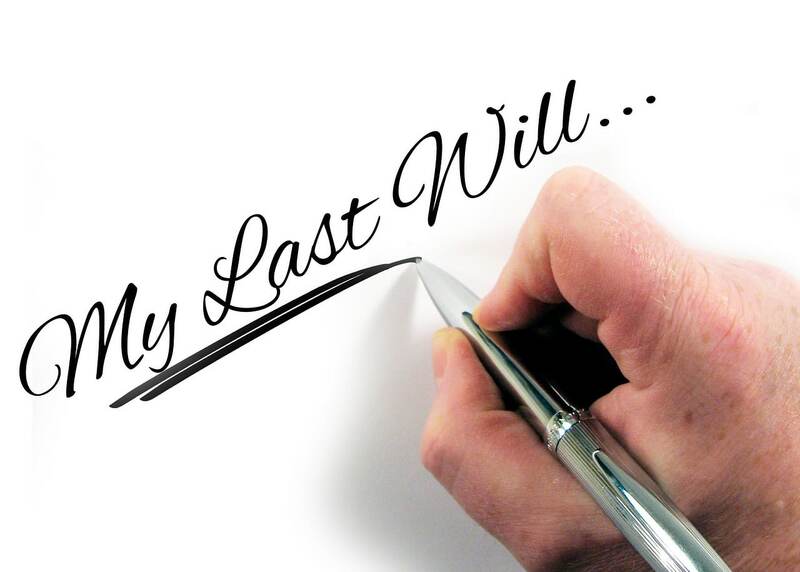 A Will is an important part of every Estate Plan. Although many Estate Plans include a Trust, the Will does things that no other legal document can. Executor: It names an Executor to be in charge of your estate if your estate needs to be probated. This person is overseen by the probate court and is responsible for collecting your assets, paying creditors and distributing property according to your plan. Distribution Choices: A Will can distribute property according to your desires. Guardian Nomination: It can select guardians for minor children or dependents. Pour Over Into a Trust: If a Trust is created as part of your Estate Plan the Will insures that any unaccounted assets are put into the Trust. Create a Trust: A Will can create a Trust at your death to provide your family. Avoid Intestacy: Without a Will the government’s intestacy scheme will determine how your assets will be distributed. • Not Effective until Death: A Will only becomes effective upon the death of the Testator (the person who made the Will). It is not a substitute for a Power of Attorney which enables someone to act on your behalf. • Probate Required: In all but few limited situations a Will must be admitted to probate by a judge in order for its terms to be carried out. A Trust is usually the best way to insure that your assets are distributed without the need for court involvement. • Non-Probate Assets: A Will does not distribute assets that pass automatically such as joint tenancy property, transfer on death deeds and joint or payable on death accounts. Such assets pass without regard to the language of a Will. • Beneficiary Designations: A Will does not change beneficiary designations. IRAs, Insurance Policies, and Bank Accounts often have beneficiaries or payable on death designations. The companies holding those assets will transfer the property according to beneficiary designations without regard to what a Will says. • Self-Proving Will: A self-proving Will signed by the Testator (the maker) in the presence of two unrelated adult witnesses. The Testator requests that the witnesses attest to his or her signature to the Will. The Testator and witnesses sign an oath that the maker was of sound mind. A notary certifies the signatures of the Testator and the Witnesses. If these formalities are performed then the Will can be admitted to probate without the need for the witnesses to be available to testify that about the signing. • Standard Will: A standard Will has two unrelated adult witnesses but the Testator and witnesses are not required to take an oath. At least one of the witnesses must testify about the signing of the Will before it can be admitted into probate. • Holographic Will: A Will that is entirely written in the Testator’s own handwriting, signed and dated. Holographic wills are often invalid because they are poorly drafted and fail to meet the legal requirements. • A Will only distributes non-probate property. Property held in joint tenancy, payable on death and beneficiary designations are not changed by Will. • With few exceptions, a Will must go through probate. • Formalities must be followed when a Will is signed in order to be valid. In Oklahoma, the only narrow exception for a soldier or sailor’s oral or “Nuncupative Will”. The estate must not exceed $1,000. ; it must be proved by two witnesses who were present at the making thereof, it requires two witnesses who must survive the conflict; and the decedent must at the time, have been in actual military service in the field, or doing duty on shipboard at sea, and in either case in actual contemplation, fear or peril of death, or the decedent must have been at the time in expectation of immediate death from an injury received the same day. In short, Oral Wills fall outside the realm of estate planning.